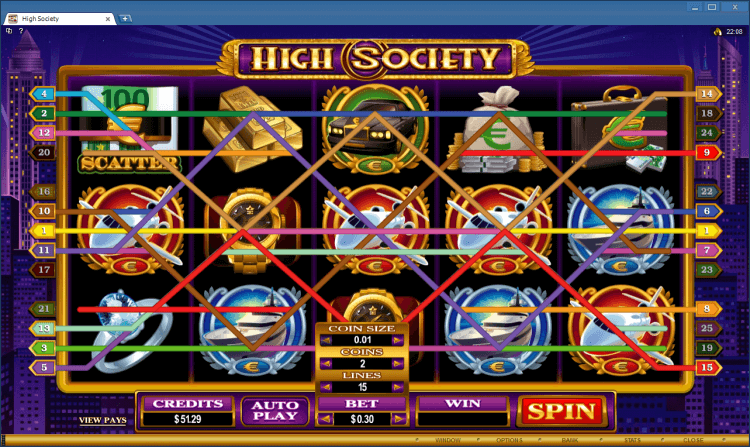 High Society is a five reel, twenty five payline and five hundred coin slot machine at the BlackJack Ballroom online casino application. 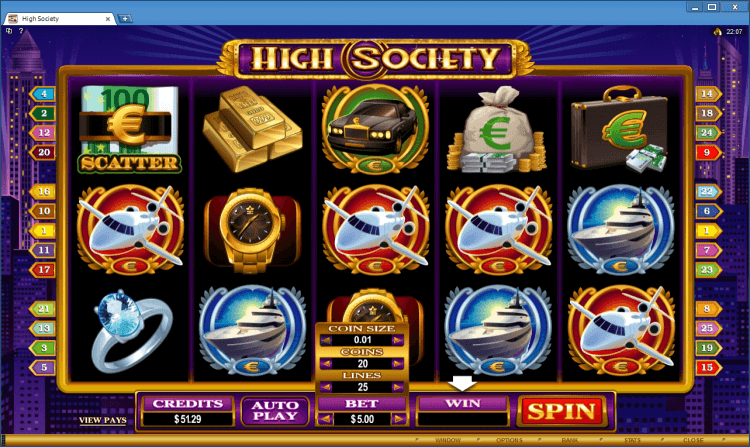 You can bet up to twenty coins per payline. Malfunctions void all plays and pays. The High Society symbol is a wild symbol. This symbol appears only on reels 1 and 5 in the regular slot game. This symbol doesn’t create its own winning combination. The Money Clip symbol is a scatter symbol. This symbol completes a winning scatter combination. Scatter wins are calculated by multiplying the scatter symbol combination payout by the total number of regular coins bet. 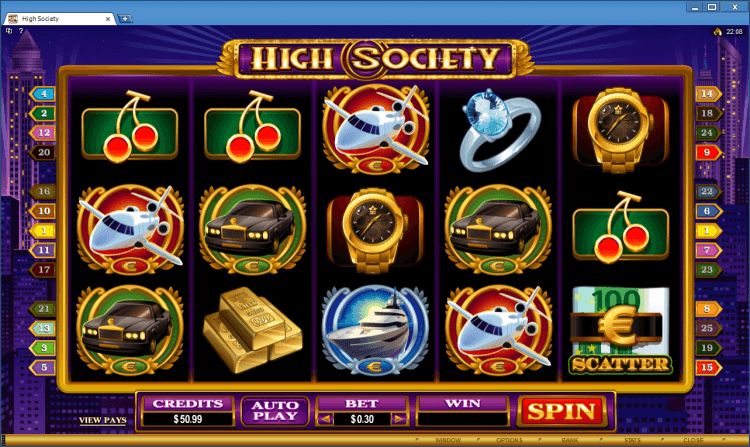 Three or more Money Clip symbols scattered on the reels activate the Free Spins bonus game. In this game you can choose between two bonus game: Free Spins with Super Wild Reels or Free Spins with Super Multiplier.